(a) Time passing while I was having fun. (b) Time passing while I wasn’t having fun. (c) The freaking wind that’s been blowing for the last bazillion days. And the answer, of course, would be (d). Thank you to everyone that supported me and my efforts. I’m planning on trying again next year, and am already working on trying to more comprehensively solve my shin splint problem. Second, the not fun: well, there isn’t really anything specific, just…you know…life! Some days are really quiet and then other days are super busy with stuff out of the house. I’m in the finish line to the production of South Pacific, and our 2.5 hour rehearsals are stretching to 4 hours…which doesn’t get me home until 10:30/11 PM. Oh wait. There is something specific: Joe had a big bike accident on Friday. He flipped and landed with the end of either his handlebar or one of the foot pegs (a metal tube) centered right on his belly button. We were able to get into the clinic right away to get him checked out: thankfully there was no internal damage, however, we are treating the wound on his belly like a burn. It’s healing well, and I will spare you the picture that I took for posterity. It’s just as gross as you can probably imagine. He couldn’t stand up straight for a day or 2 — that’s a lot of trauma on those poor ab muscles! 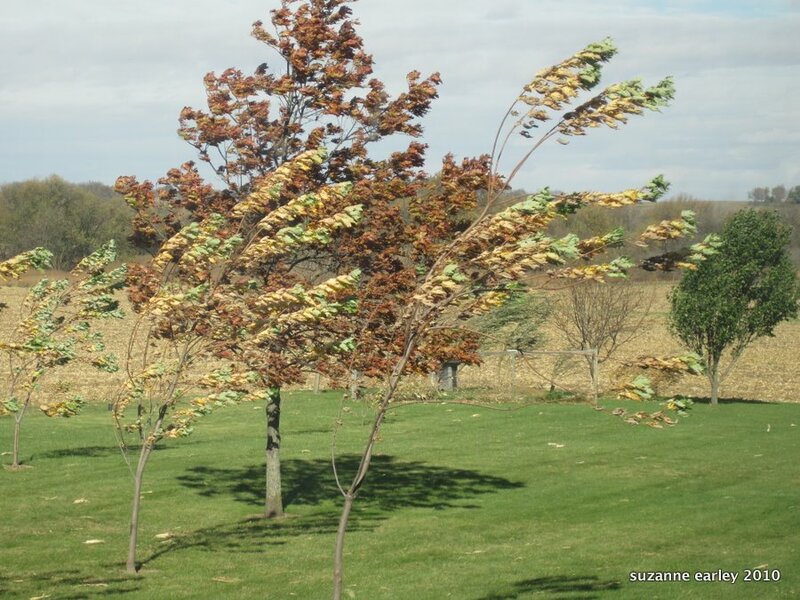 We have had such gorgeous weather all fall — harvest is already finished (they were still working on corn until after Thanksgiving last year…), but this week, Mother Nature has reasserted herself and the wind is crazy-making. At least it isn’t snowing. Yet. That is Phoebe Mouse. Isn’t she stinkin’ cute? 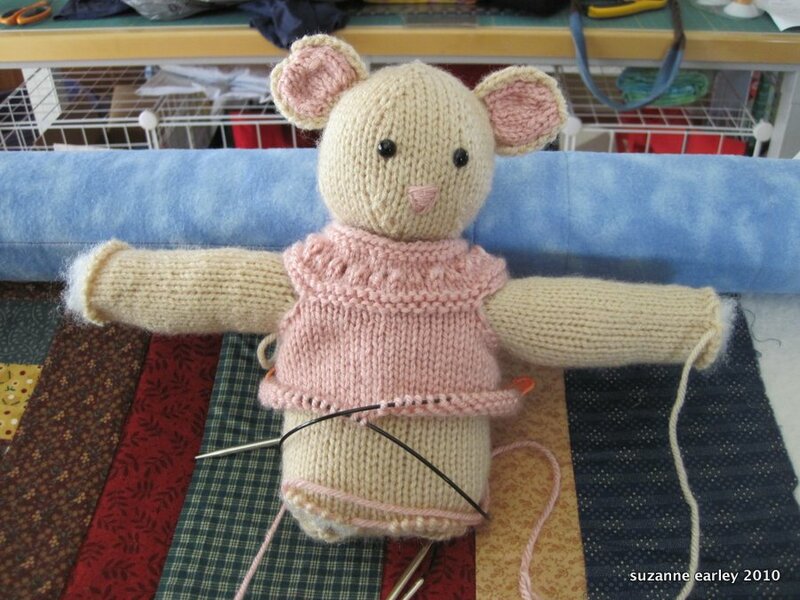 Yes, she still needs legs, a tail and the rest of her dress, but I needed her to have eyes and ears first. 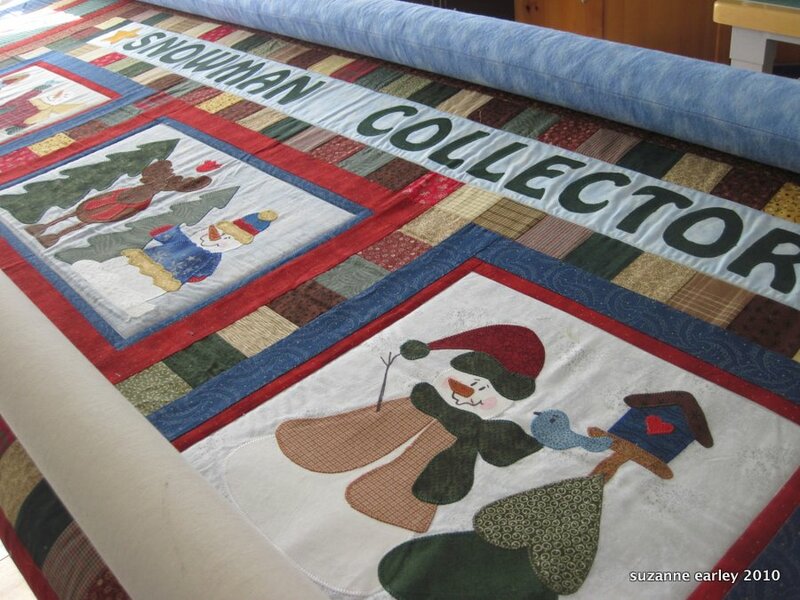 I had my own snowman collector quilt on the machine last week — it is only ten years old. I had to unzip it to get back to customer quilts. Would love to see what you end up doing on it.